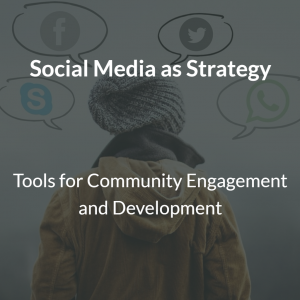 In 2014 Sophia Lowe wrote Social Media as Strategy: A Tool for Community Engagement and Development (PDF). It’s a great, practical read about how your human service organization can approach technology as a community engagement and community development tool. It gets nicely beyond the hype and gives you a solid grounding in the strategic approach you and your organization need to take to move forward successfully with technology in your service delivery toolkit. “Social media has become a new buzzword in nonprofits and other organizations – heralded by many as a new way to reach and engage marginalized populations and to support significant progress in community development, mobilization and social change. This report explores the role and function of social media as a tool for community engagement, in order to uncover enabling social media strategies and interventions that can be used to engage low-income and marginalized populations. Drawing on an extensive literature review and community interviews, this report highlights the usefulness and challenges of social media as a potential strategy and tool for engagement. It highlights key considerations and approaches for utilizing social media for community development and for engaging with low-income populations. That’s what you’ll get when you read any good social media or technology in human service article. 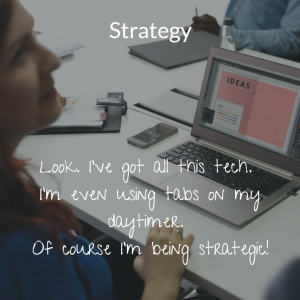 Having a strategy is essential to get started, do it well, learn from your forays into technology use, and refine your approach. You need to be strategic because you’re serving people in your community. You want to get it as right as you can. Yes? “People often think of innovation as futuristic, cutting-edge technology, but our research found that it doesn’t have to be—in fact, many Minnesota nonprofits successfully use existing technology to innovate in more subtle ways, implementing solutions that are often both low-cost and effective. We found a number of different examples of organizations using straightforward, inexpensive technology to provide higher quality services and create opportunities to do more with less. But can other organizations replicate their results? Totally worth a read to learn what those core elements are. If you’re not quite convinced about the need for a strategic approach, maybe something specific will help. Texting/SMS as a service tool is an idea you should be considering, if your clients want to receive information on their phones via text. But, what does that look like? Idealware has you covered, if you want to do it right, strategically, and in a way that is both internally manageable and meets client needs. In May 2017, they created a guide and workbook for you. First, download and read Text Messaging for Nonprofit Program Delivery for the overview. Then, pull your team together and dive into the very practical How Can Your Nonprofit Use Texting for Program Delivery? A Workbook. Guess what they say about how to approach it? “Innovative ideas are possible without a lot of technical knowledge. There are four basic steps to unlocking the innovative potential with text messaging—or any other technology. For more case studies and great info, check out Idealware’s other great resources about texting/sms. This entry was posted in TiHS Research and tagged digital literacy. Bookmark the permalink.